Update: The interview is now listed on the Featured Articles page on the MySQL Developer Zone, too. If you would like to know more about Second Life and MySQL, Ian will speak about this topic in more detail at our MySQL Users Conference. Continue reading "Enabling and using the MySQL Instance Manager (IM)"
Congratulations to Justin and Roger for getting the book out and published! I helped tech editing a few chapters (which looked very promising) and I am looking forward to the complete works. Good job, guys! Markus yesterday mentioned that he started reading "Producing Open Source Software" by Karl Fogel, a book that I plan to read some time, too. The table of content looks promising, he covers a wide range of aspects related to building up and running an OSS project. 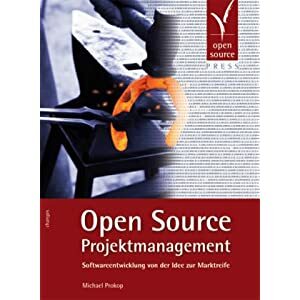 In addition to Fogel's work, there also is another interesting book about this topic: Matthias Stürmers master thesis "Open Source Community Building". It takes a slightly more scientific approach and documents the results of actually interviewing the members of various OSS projects about their experiences. It has been around for a bit, Matt Asay wrote a nice review about it in September 2005. I just read the rewritten german summary Mattias created for the german Open Source Yearbook and found it an interesting read! If you are running or plan to found an Open Source Software project, you might want to consult these books for some good advice on how to avoid common pitfalls and how to attract and foster a community around your project. I finally finished my interview with Kai Seidler, who is one of the people behind the very popular XAMPP project. You can now read the interview on the MySQL Developer Zone - I hope you will enjoy it!